Full print, vinyl vehicle wrap. A full vehicle wrap is an eye-catching way to advertise your business everywhere you go. We had previously produced a standard sign write for Wyse Locksmiths, but following a rebrand they wanted something with more striking. 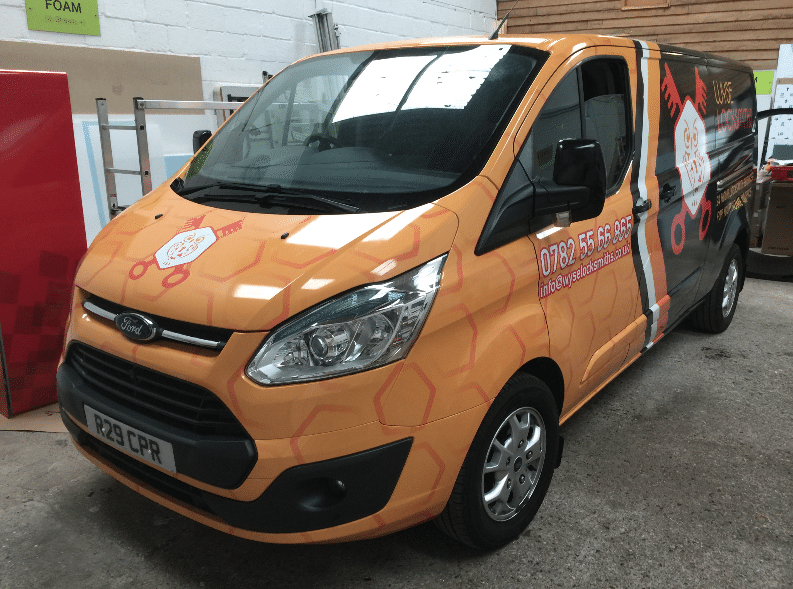 A full wrap is an excellent solution for maximising the impact of your brand on your vehicle. We always work with our customers to make sure we can produce something as close to their expectations as possible. With our in house wide format printer we are able to print a wide variety of materials without the need to outsource to other companies, meaning better value for our customers. 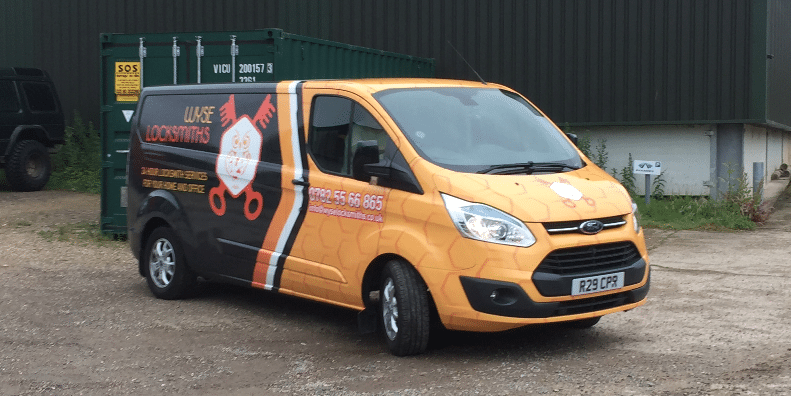 For vehicle wraps we only use high quality, cast wrapping vinyls, so you can be sure to get the best quality product available. 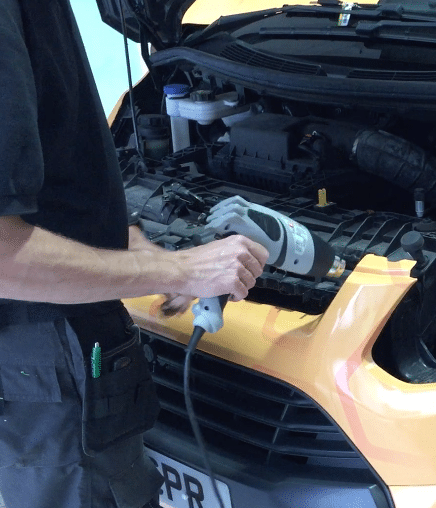 Our team are experienced in fitting a range of graphics. We take pride in every step of the process, from making sure the vehicle is correctly prepared, to the finishing touches. A full wrap is one of the most involved fittings we offer and if you would like more info on the process please see our case study on The Bus of Hope. 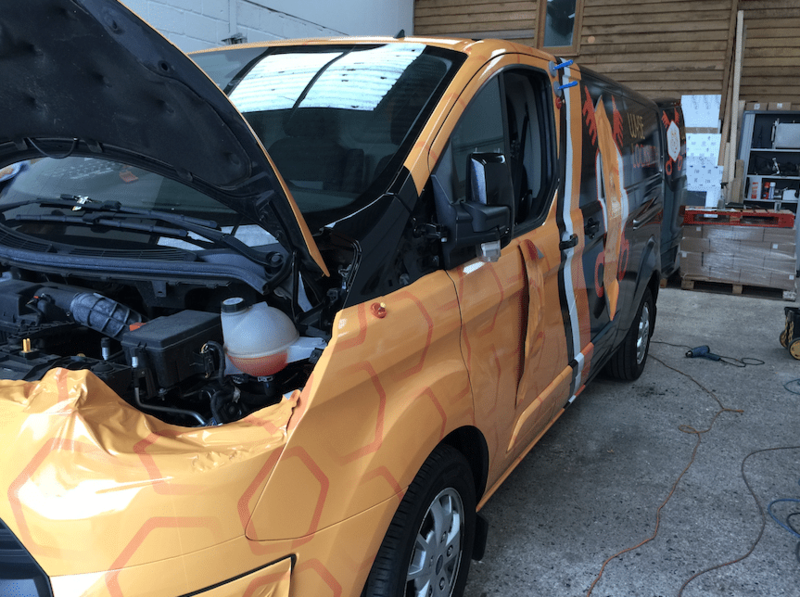 Once complete the wrap looked a stylish, bold and modern design that will turn heads and make potential customers take notice.